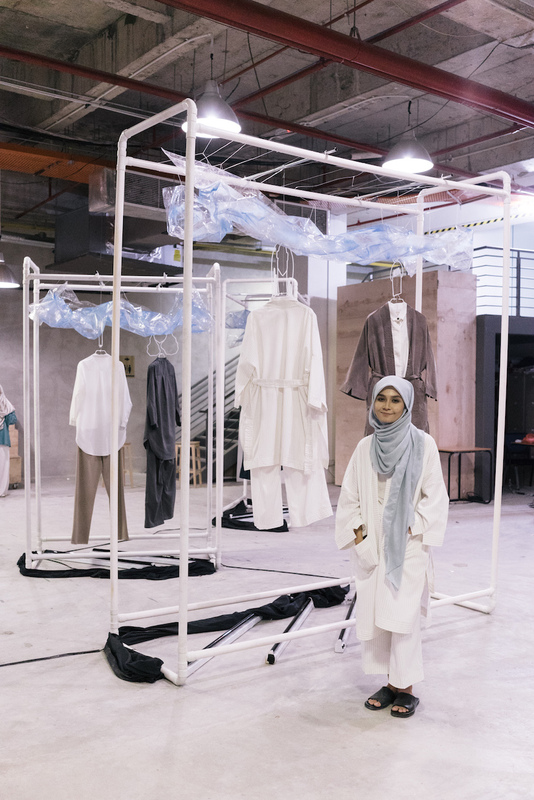 Recently, Ana Abu’s name has been brought up in various conversations – for good reasons, of course – namely because of her label’s recent campaign entitled ‘Him + Her’. It caught our attention for two reasons; the aesthetics and the fact the garments were made for a gender-neutral collection. JUICE took the opportunity to pick Ana’s brain on why she created such a collection, embracing loneliness, and fashion trends — predictable, we know. What prompted you to create a gender-neutral collection? Anaabu has been rebranded into a minimal and casual clothing line since 2015, with androgyny and simple look for womenswear. We have had an increased demand of menswear clothing from both online followers and walk-in customers – basically due to our concept – and more people started to acknowledge menswear fashion in Malaysia. Based on this, we had an idea to produce unisex, gender-neutral clothing instead of designs that only focus on a certain gender. We chose this direction to promote sustainable fashion; where outfits can be shared even if you have different personalities — it’s just a matter of how you style them. That’s cool. The ‘Him + Her’ campaign is said to celebrate loneliness — how do you personally perceive being alone? We have to live life depending on ourselves and we are going to leave the world alone too. For me, I use my alone time for myself — when I need to reenergise, make decision, and think, ultimately. But I keep my balance, so, I do have someone special to keep me company. Love, family, and friends are an important support system God has given us. What have you learnt from being by yourself? That everything comes from our own courage. If I want to do it, I will do it. Mistakes, failures, and success come from our own effort and knowledge. You mentioned using models with “different features to depict and celebrate the differences and things we have in common” — what features were you referring to specifically and how did you manage to portray that via your lookbook? Differences — we all have different personalities and appearances — the hair, bodies, perception, childhood, etc. But looking at our partners and the people surrounding us, we must have something in common. [Be it] talking styles, feelings, aims, passions, or how we laugh — there’s always something. We used four models (two men and two women) with distinct features — skin tone, hair, height, and look to depict the differences, and one suit styling to portray the things we had in common. Your personal style is admirable – what inspires you to dress the way you do? My daily life and surroundings. I have been a fan of oversized and loose clothing since I was a teenager — because I don’t feel comfortable or confident in fitted apparels, mostly because I’m not too skinny (laughs). The inspiration is constantly changing as we are being fed with beautiful things in the world but despite keeping up with trends, I stay true to my likings at the same time. What was your style like five years ago? It was the time I started this business and learnt to find myself. I had a huge obsession for vintage clothing – I still do! Vintage stores were my favourite place to go. What’s your favourite ‘vintage’ look? I like to pair a pair of high-waisted tapered pants with a loose oversized shirt tucked-in half front, or vintage dresses with high-cut Doc Marts with a bowl haircut. 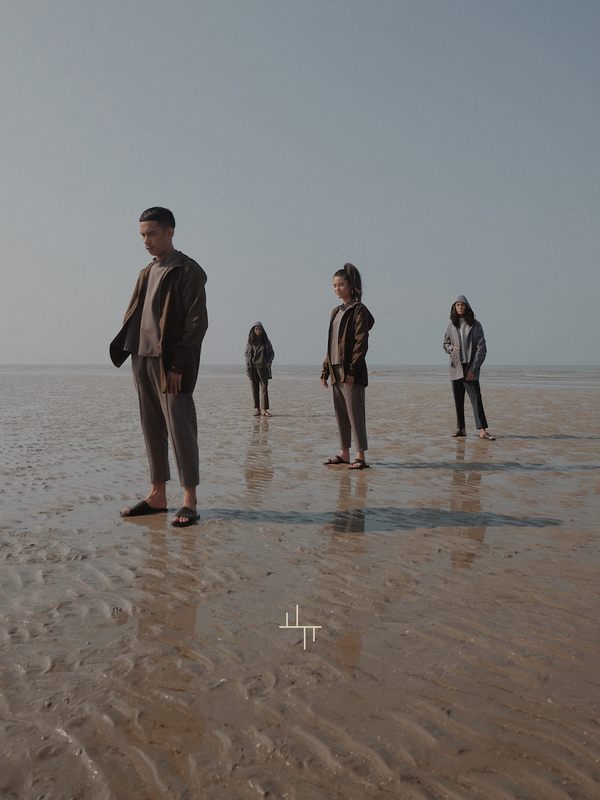 Going back to Anaabu’s approach towards minimalistic fashion. What attracted you towards this style? I used to sit in front of my wardrobe with the “I don’t know which outfit I should wear” problem for an hour, and I’d usually end up choosing the same basic pieces to wear. It was then that I realised that I wanted basic garments to come back — but of course, I needed to give it (my clothes) additional touches to make it unique and to differentiate my brand with others. What do you like about this particular style? Minimal fashion is easy to the eyes — it’s simpler, calmer, and wearable. One fashion trend you wish died; and one you could bring back. “Too heavy” trend? Is that a term (laughs)? I wish people could appreciate that less is more. I want to bring back vintage trends as I’d really love to have as many vintage fabrics as I can possibly get my hands on for my collection! The obsession is very real with you. Last question, what’s your favourite JUICE? (Laughs) Maybe, love? Love brings enthusiasm, love brings smile, love overcomes hate, and love can lead to success — as long as it is moderate. Check out ANAABU’s Him + Her collation here.